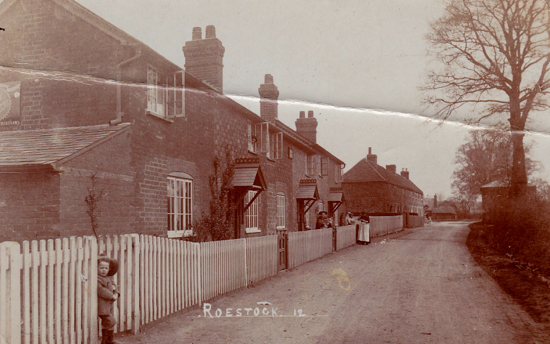 Postcard of Roestock in 1915 showing Invicta Cottages and the Plough pub beyond. Canadian Richard Gillians found this site's predecessor while tracing his family history. His journey had taken him back to the village of Roestock in North Mymms. Richard then contacted our former site and offered to write a short history of the Gillians of Roestock. This is his story. During the summer of 1963 in conversation with my Dad, I asked where in Britain did our name originate from. He thought it was from Wales and with that he looked in the dresser drawer and produced his birth certificate and a marriage certificate of my grandparents James Gillians and Elizabeth Rainer who were married in the Woolwich Register Office Nov. 7, 1888. A friend suggested that I contact the Society of Genealogists in London to see if they could be of any help. After forwarding what information I had and a bankers order for $50 I received a reply from Anthony Camp with details of my family going back to the marriage of John Gillion and Elizabeth Andrews at Bishops Hatfield church, Hatfield, Nov, 3, 1788. Little was done with this information until my retirement 8 years ago when with the help of the good folks at the local Family History Centre of the Morman Church, I was able to look at parish and census records for Hatfield and particularly North Mymms. It appears that my family lived in the Roestock area of North Mymms from at least the time of the first census of 1841 and were generally in the employ of the Gaussen family as farm labourers. For example in the 1851 census, I found my 3 times grandfather living with his son John and family at Roestock Lane. Next door were John and Ann Hutchins, my 2 times great aunt and 6 of my family including my 2 times grandfather. It could be possible that my relative John was on site at the time of the fire. 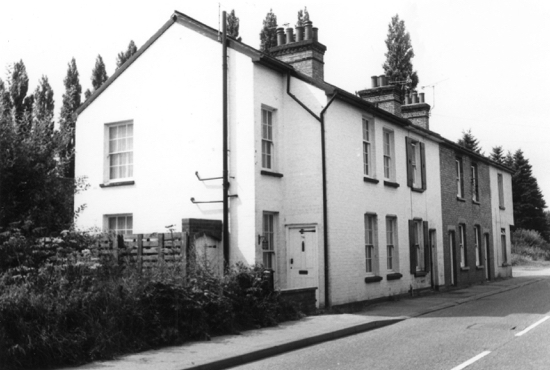 Further checks of later censuses found them living at 65, 66 and 73 Roestock Lane, North Mymms working as labourers, straw plaiters and of course scholars. The last direct link I have with my family in North Mymms was my Great grandmother, Jane Elizabeth Hipgrave who died at age 79 at Bullens Green, July 22,1920. She had remarried after my great grandfather had died in 1877. My grandparents emigrated to Montreal, Canada in 1907, boom years in Canada. My grandfather passed away in 1913 and my grandmother died during the Spanish flu epidemic in 1919. My Dad worked with the Canadian Pacific Railway in Montreal as a clerk until 1962 and passed away in 1970. Now I am retired from the Prudential of England and my family consists of 3 sons and a daughter all are doing well in their various occupations. The next generation consists of 6 granddaughters ages 2 to 27. We will have to depend on the Gillians families in Britain to carry on the name. Editor's note: Below is a story Richard wrote about his family history. This piece is taken from the history section of the former Brookmans Park Newsletter.